“There is a general lack of clarity and understanding about these programs: What are they doing, what are they not, and how can they be expected to operate?” said Trey Hodgkins, senior vice president of Public Sector at the Information Technology Alliance for Public Sector. He and other witnesses testified on the struggles with 18F and USDS before a packed meeting room, and were questioned by members of the Subcommittee on Government Operations and Subcommittee on Information Technology. Dave Powner, director of IT Management Issues at GAO, clarified that though there were many successes between 18F and USDS, and that many of the Federal customers were satisfied with the service provided, there was uncertainty about whether the departments would meet the monetary and program goals set for themselves. 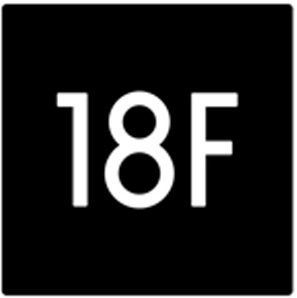 In particular, they worried that 18F was working beyond the bounds in which they were established and without the promised recovery of costs. “We haven’t done a very good job of communicating what 18F does,” acknowledged Phaedra Chrousos, commissioner of Technology and Transformation Service at GSA. The major concern in this failed communication is that 18F is acting in a role that the private sector should really be taking. “The biggest concern is about the evolution and the rapid growth of an entity like 18F that’s not necessarily really visible in how they’re behaving,” said David LeDuc, senior director of public policy at the Software and Information Industry Association. He was also worried that, through 18F, the Federal government is moving from a buy-not-build mentality to a more self-building mentality, leaving the private sector out of government innovation. “We do not intend, and in my opinion, do not compete with the private sector,” Chrousos said, though the witnesses representing the private sector’s concerns were not entirely convinced that this was the case. The other concern addressed by both Powner and representatives at the hearing was that USDS was stepping past the CIOs of agencies to get work done. “I’m concerned by reports that USDS teams may parachute into an agency, fix whatever they perceive to be the problem, and then leave without the full buy-in and involvement of the agency CIO,” said Rep. Will Hurd, R-Texas. Hurd and other members of the committee have voiced great support for the implementation of the Federal IT Acquisitions Reform Act (FITARA), which requires agency CIOs to be involved in all IT projects within their agency. “In the State Department, the CIO told us initially that they were not involved with the selection, nor the projects being chosen at that agency. We don’t think that’s appropriate,” said Powner. “I believe that all the USDS actions are completely in compliance with the spirit and the letter of FITARA,” responded Mikey Dickerson, an administrator at USDS. Rep. Gerry Connolly, D-Va., contested this statement, saying that it was like telling a police officer that you believe you were complying with the law after being definitively found speeding. The end of the hearing focused on the fact that 18F and USDS have not been tackling the major IT problems facing the Federal government. Hurd agreed, suggesting sources for USDS and 18F to find major needs and problems: “There’s a GAO high-risk report; that high-risk report identifies some of the key projects that are having issues.” He also suggested that 18F sit down with all the agencies that got a D or F on the FITARA scorecard and help them improve those grades. Committee members expressed a desire for these agencies to succeed in their missions, but that they needed to do better.